The Gamblers were formed in 1961 in Newcastle-upon-Tyne. 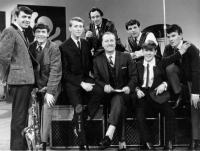 They were signed to Decca records. Andy Mac had a serious accident and was replaced by drummer Ces Baron. The band released their first single 'You've Really Got A Hold On Me' / 'Can I See You Tonight' (Decca F 11780), on 15 Nov 1963, but it made little impact. From January 1964 The Gamblers started backing Billy Fury (born Ronald William Wynchley, 17 April 1940, Smithdown Hospital, Sefton, Liverpool, Lancashire, England died 27 January 1983, St Mary Abbots Hospital, Paddington, West London, England). The Gamblers made their debut with Fury on BBC Radio's Saturday Club in March 1964, although they had recorded some tracks with Fury in January 1964. The Gamblers next single was 'It's So Nice' / 'Nobody But Me' (Decca F 11872) in March 1964, had just one week in the Top 30, in 1964. At some point Ces Baron and Alan George left to be replaced by drummer Dennis Crawford and organist Bob Elliott. Their third single was 'Dr Goldfoot (And His Bikini Machine)' / 'It Seems So Long' (F 12399) in May 1966, their last for Decca. Their fourth and last single was 'Cry Me A River' / 'Who Will Buy' (R 557) on 20 Jan 1967, released on Parlophone. The Gamblers split up on July 1, 1967. Jim Crawford went on to join the Alan Price Set. Alan Price (born 1941) was also signed to Decca and was also from Newcastle. He had been the original organist player in The Animals (also from Newcastle). Tait became one of The Holder Brothers. 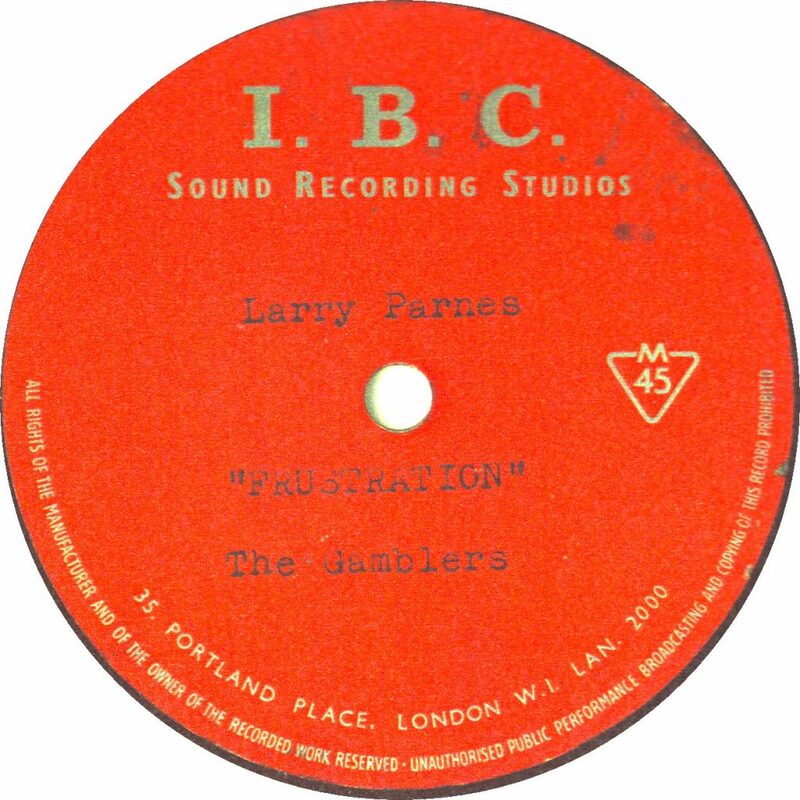 Frustration recorded at IBC studios, London. Jim Crawford (lead guitar, vocals) (born James Crawford, 24 April 1942, Newcastle-upon-Tyne, Northumbria, England), Ken Brady (tenor sax, vocals) (born Kenneth Brady, 5 July 1941, Newcastle), Tony Diamond (guitar, trumpet, vocals) (born Anthony Tait, 4 April 1945, Newcastle died 2 January 1999), Alan George (piano, organ) (born 20 July 1941, Newcastle), Cec Baron (drums), Bob Elliott (piano, organ), Dennis Crawford (drums), Andy Mac (drums) (born Andrew McMullen, 12 December 1941, Newcastle); Alan Sanderson (bass, vocals) (born 4 February 1941, Newcastle).